Celebrate the holidays and social gatherings without writing "bring your own chair" on the invite. The 650 lb. 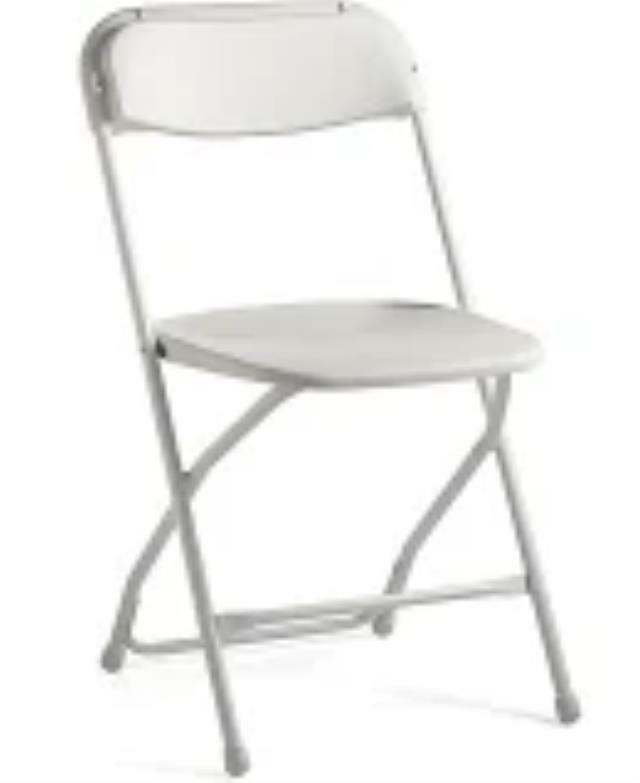 Capacity Premium White Plastic Folding Chair is a convenient option for weddings, school functions, barbecues, game night, and catering events. This versatile compact chair is rated for commercial and residential use. When you need to furnish seating for a venue or keep seating on hand. * Please call with questions about chair white wedding plastic rentals in Garland TX, serving Dallas TX and the DFW Metro Area.